There are rats and then there are RATS. A scientist has brought back an oversized rat from a radioactive island, and he begins breeding it with the local London rats. These rats are famous in their own right for bringing down London more than once with plague in the long, distant past. Obviously, we all need bigger rats, right? Rats do what rats do best which is out rabbit rabbits in the area of fornication and reproduction. 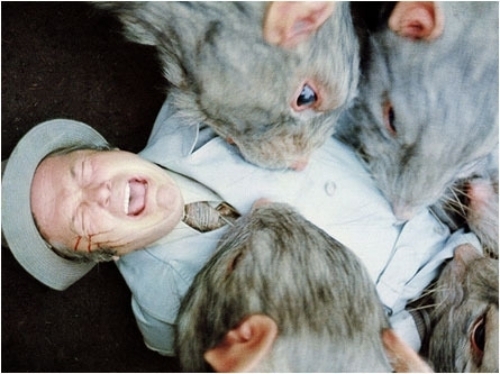 It doesn’t take long for an army of gigantic rats to emerge from the sewers and the underground and begin to attack the most plentiful species in London...rather tasty British people. Now a rat, singular, even a big rat, is not a huge problem for a reasonably fit person to handle, especially if they can find something to club the furry beast with. Zombies are easy to handle one at a time as well and only become dangerous when you find yourself surrounded by a herd of the decaying creatures. The same principle applies to rats; small rats or big rats, an army of them is extremely dangerous. You might kill one or two, but while you are killing them, another rat has gnawed off your ear, and another is slurping the tendons out of the back of your leg. 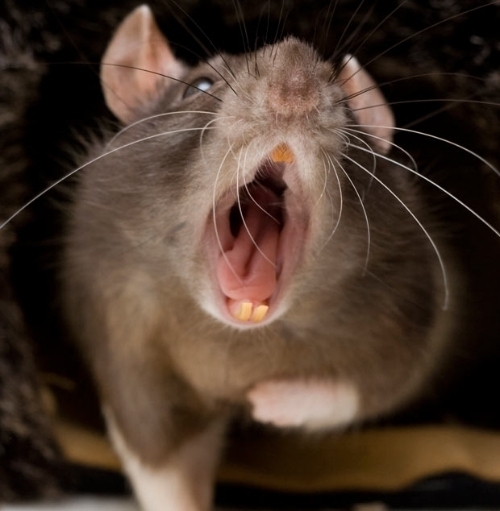 Harris, our hero, a teacher by trade, has been in the front lines of this pestilent rat infestation simply because, geographically, the rats emerged near where he lives. He finds himself helping the government to find ways to best eradicate the creatures, and meanwhile he is in a race to find the scientist who brought this apocalypse to London. Another little tidbit, a bloody crumb to add to the mix, is that the bite of these rats is toxic. People who are bit die within twenty-four hours. That makes everything just a bit more tricky. I remember the first time I saw a rat. I was a youngster and was digging through a heap of scrap iron on the farm looking for a bar that would make a passable Arthurian sword when I noticed a snout and beady eyes looking at me. The rat leaped out, not at me, though at the time I thought he was coming for my eyes. He was fat and larger than I envisioned rats to be. He’d obviously been living well from his burrow in the scrap, probably stealing chicken feed from the nearby henhouse. He was gone in a flash of black fur, slashing the air for balance with his sinister naked tail. 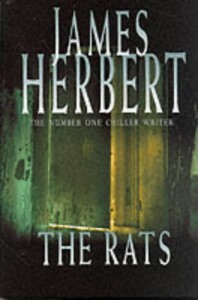 This is James Herbert’s first book. He received a lot of harsh criticism for his graphic depictions of mutilations from the rats attacking people. This criticism, which money can’t buy gold like this, increased the public’s interest in reading the book. The paperback sold out in three weeks. A career was launched. A movie called Deadly Eyes (1982) was made based on the book. Dachshunds were dressed up in rat suits, which sounds weird enough to make me want to see the movie. 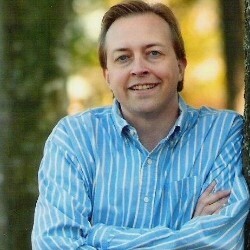 He wrote two more sequels and became a bestselling horror writer. The writing in this book is at times clumsy. He was certainly still learning his craft, but he already had a grasp of what people want. They want to be scared. They want to be shocked.